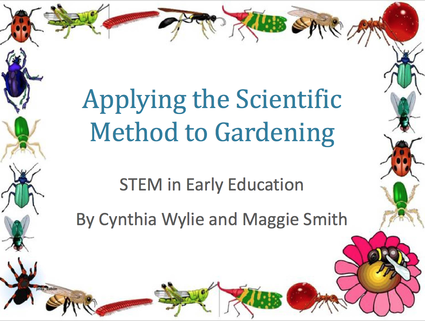 Click below to download the 2015 Early Childhood STEM Conference Presentation, "Applying The Scientific Method to Gardening." Held by Cal Tech. Written by Cynthia Wylie and Maggie Smith. ​ It includes many cool ideas for experiments involving plants. You can also visit the Classroom Resources page on Bloomers Island for pages and pages of helpful, educational and downloadable materials that you can use in the classroom.